Antoinette Datoc is a freelance writing, blogging, dancing housewife and the founder of The Dancing Housewife blog and podcast. She is a dancesport member and serves on the Senior Athlete Committee of USA Dance. Aside from her dance floor hijinks with the Dancing Doc, she counts having the privilege of staying home to raise her two incredibly brilliant and dangerously handsome sons from birth to adulthood as her greatest accomplishments. 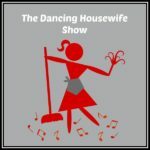 Jennifer Allen Egl is The Dancing Housewife resident expert on all things country. She is chairperson of Media and Marketing for the United Country Western Dance Council (UCWDC) and Event Director for MidAtlantic Dance Classic. When not wearing competition sparkles, Jennifer works as a Large Market Benefits Consultant and freelance sports photographer. She also keeps busy raising two fabulously photogenic children who refuse to learn to dance.